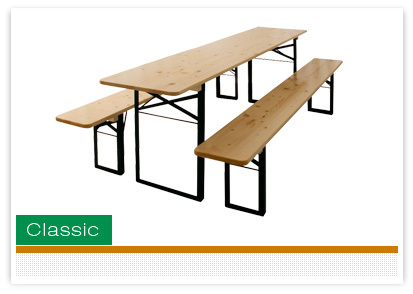 The Classic set or “brewery set” features high quality glued spruce board. The moisture content of every individual piece of wood is checked in an automatic continuous process to guarantee one hundred percent D-4 gluing. They are coated with a high quality, particularly elastic UV product which is also used in boat building. 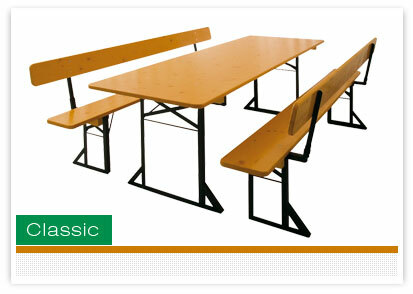 The iron sub-frame with 3 mm bar steel throughout is the strongest available on the market. Robots guarantee perfect (and precision) welding. 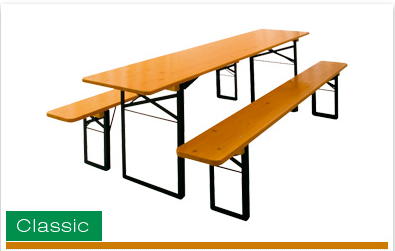 This is then supplemented by high quality powder coating at a temperature of 200°C whose quality simply cannot be compared with immersion coating. 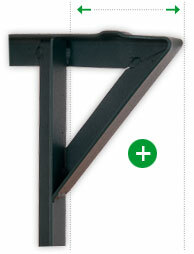 A galvanised safety catch ensures everything is held perfectly. 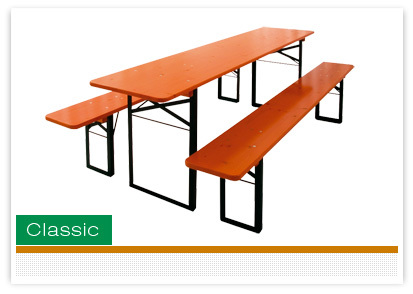 The sub-frame is designed for the use of plastic ground protectors where necessary. 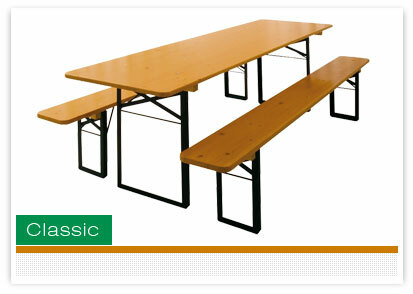 The boards are coloured and glued and bolted from underneath so that there are no drill holes on the surface of the table which constitute a weak point when exposed to the weather. 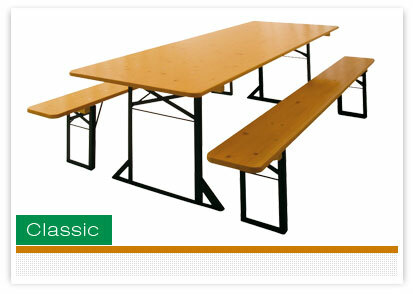 Tables with 80 cm width are supplied as standard with a broad base.